With thanks to Yvonne Salt for providing the scan and comments. Eshton Davy standing at the back without jacket. Leslie Davy at the back white shirt, in front and to his right Michael Gallagher; in front of him Ian Jackson (tongue out). 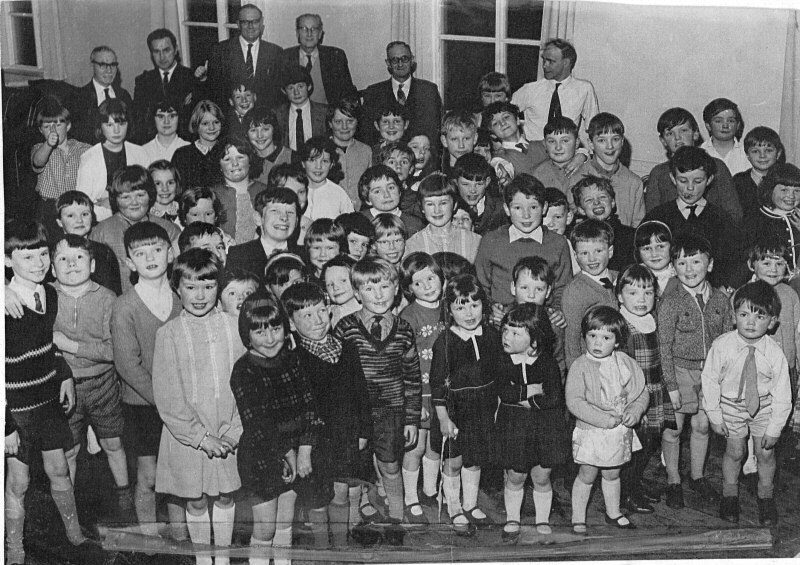 The party was held at St. Andrew's Hall Crosshills. I believe it is half way down Station Road and is now something to do with medical supplies.